The core of what makes string trimmers such an effective piece of lawn care equipment is the string itself, which is a special type of material that spins around at incredibly high speeds to “whack” down and wear away weeds and grass in a yard. But did you know that there is more than one way the string makes it way out for use? 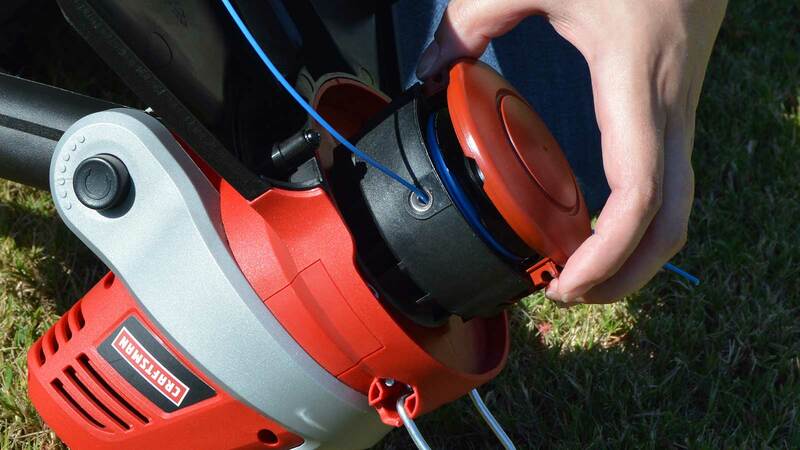 This guide covers the two most common types of feed systems in string trimmers, bump feed and auto feed, so that you can understand each type and choose the system that’s right for you. What Is a Feed System? Simply put, a feed system is the mechanism that releases the string in a string trimmer (also called the line) out into the head so that it can cut down the grass in your lawn. Since the string is made of a plastic or composite material, it is going to wear itself down as you use it. Rather than requiring you to pull the string out by hand as it wears down, most trimmers have a system in place that allows you to do it with less effort and continue with your work. The bump feed system, which is the most common and what you’re likely to find on older models, literally requires you to bump the head of the trimmer on the ground to release more of the line. These systems are very straightforward, which means that repairing them are less likely to be costly or problematic. This system gives you the most control over your line, since it will only extend when you choose to allow it. With an auto feed system, the trimmer will release more line whenever it starts to run short, based on an advanced internal system. The majority of models will have some kind of component that gauges the current length of the line and then releases more by taking advantage of the spinning taking place with the head. These systems make it less likely that you will break the trimmer by bumping it, and help you focus more on getting the job done. The biggest issue with a bump feed system is that since you have to hit the trimmer on the ground, usually on the guard shield, you are increasing the chances that you could break the unit all together. It will also take some time for most people to get used to the process of manually releasing the line, which can slow down progress. In terms of auto feed systems, the main issue is that any damage or breaks are likely to be more costly and complicated to repair. Also, since you have less control over the feed, it means that you may run through line at a faster pace or end up with too much line, in some cases. Many people who are new to using a string trimmer may be better off with automatic feed systems, since they require less thought and effort to use. However, if you are comfortable with the extra effort, a bump system may be just fine for you.